It reads like a roll-call of Marxist guerrilla groups. The Egyptian Rebels; The Coalition of Egyptian Revolutionaries; The Council of the Trustees of the Revolution. If it wasn’t for another group calling itself the Independent Academics and Development Workers Coalition, there would be the faintest whiff of Farc-style pistol politics in the air. 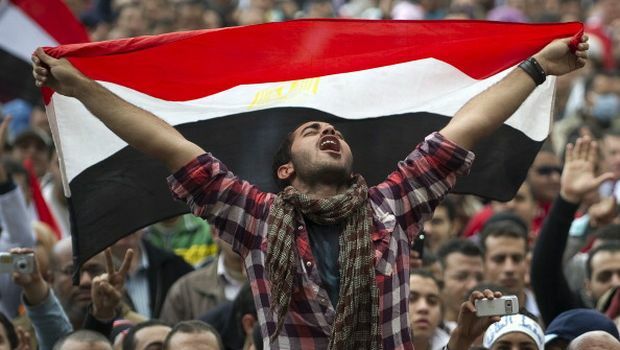 But the dizzying rush by activists to get a toehold in post-Mubarak Egypt is not as alarming as some of these names would suggest. On the contrary, sometimes it all seems rather farcical. From one coalition to the next, various factions have been stepping forward under different banners in a bid to get a slice of the media limelight. There is less of that now Colonel Gaddafi is using warplanes to bomb his own people in neighboring Libya. Yet the political space which has been created since the 25 January uprising has nevertheless provided a spur to myriad have-a-go politicos. Bassem Samir is the director of the Egyptian Democratic Academy, an election monitoring group with ties to the youth activist movement. He said: “We can say that it is a citizens’ revolution. There is no specific kind of person. With coalitions being comprised of factions within factions, it is difficult to keep track of the mutating political smorgasbord. But in reality, there is not a huge amount of difference between many of the groups. Just ask Amar Al-Wakeel, a journalist who heads the murky-sounding Egyptian Rebels. As Samir points out, a lot of the coalitions are just keen for a bit of publicity. Yet he said the blossoming political activity is just a natural consequence of living for 30 years under authoritarian rule. Some of the groups do have real clout. The January 25 coalition—which includes young Muslim Brotherhood members, Mohamed El-Baradei supporters and a number of other groups—is comprised of members who pre-date the recent uprising and have deep roots in the opposition movement. On Sunday night they met with military figures in a bid to iron out differences between the Higher Military Council now ruling Egypt and disgruntled activists impatient for change. Parliamentary and presidential elections are scheduled for the summer; too early in the minds of the January 25 coalition, who want more time to develop a body politic. And now that they are playing with the generals in the big league, it seems hard to disagree.